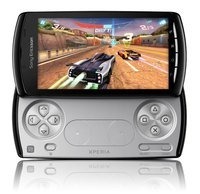 It's hardly a surprise, but it's welcome news nonetheless: Sony Ericsson just announced the Xperia Play, also known as the PlayStation Phone. We're still waiting for the full specs on this PlayStation certified device, so be sure to check back here soon for all the official details! Update: The Play will run Android 2.3 Gingerbread at launch, and will be compatible with 50 games, including such titles as Assassin's Creed, Guitar Hero, Dead Space, and Reckless Racing.